For more details, listen to the full podcast episode: Interview: Making Advance Care Planning Easier Through PREPARE. Dr. Sudore had been working on health literacy—translating complicated medical communication into more understandable language—when she became interested in the question of why didn’t more people complete an advance directive. An advance directive is a legal document specifying your healthcare proxy and/or your wishes in the event of an emergency or life-threatening illness. In looking into advance directives, Dr. Sudore noticed that the usual forms were not very user-friendly. They used a lot of legal terms and complicated language that even college graduates found challenging. Dr. Sudore thought this might be an important barrier to people completing advance directives. So she decided to work with social workers, patients, and families to create a “plainer English” advance directive form. After many years of hard work, Dr. Sudore and her team developed a new visually appealing easy advance directive. She worked with health literary experts to ensure it was written at the fifth grade reading level, making it comfortable for most adults to read. The easy advance directive guides the user through choosing a medical decision maker and then makes it simple to specify some key health care choices. The form also provided clear instructions on how to have the form signed and how to know if a notary was needed. A 2007 randomized trial found that most people preferred the easy-to-read advance directive, and that it led to higher planning completion rates. These easy advance directives are now available on the PREPARE website, right here. Every state has their own laws when it comes to advance directives, so it’s important to use the one intended for your state. In recent years, hospitals and medical centers have made a big push to get people to have an advance directive on file. But the truth is that planning ahead involves much more than signing forms, or specifying what people should do if you’re so sick you might die soon. In other words, “advance care planning” refers to a whole process of reflection, learning, and discussion with others, as well as to the creation of an advance care directive. According to Dr. Sudore, three out of four people will need others to make medical decisions for them, at some point in their lives. This does happen at the end of people’s lives, but can also happen well before death, during a serious illness or due to a disabling condition such as dementia. Without proper advance care planning, families often find it extremely difficult to make decisions on behalf of a loved one. Studies have found that making decisions for another person can lead to significant stress, family strife, and even post-traumatic stress disorder. Completing a legal advance directive is important, but in her work Dr. Sudore noticed that often families reported that their loved one hadn’t actually discussed the form or their wishes with family beforehand. Even when an advance directive was available, many families were unsure of how to proceed, because crucial conversations hadn’t taken place. For these reasons, Dr. Sudore has devoted much of her career to making it easier for people to have those conversations about what matters. The PREPARE program and the related resources on PrepareForYourCare.org are the result of this work. Even when the easy advance directive was available, Dr. Sudore noticed that many older adults were still struggling with advance care planning. In her research with various focus groups, Dr. Sudore found that older adults didn’t just need the “what” (advance directive forms), but also guidance on the “how”— how to define their values, determine what matters, and talk to their families and health providers. The PREPARE program and its website PrepareForYourCare.org were developed while working with older adults, and were designed to be easily accessible for all. They are written at an easy literacy level (fifth grade and above), are available in English and Spanish, and have been proven to be usable and useful in clinical research. The PREPARE website currently offers the classic program based on short videos, a printable workbook version of the program, advance directives for all 50 states, and a movie version designed to help break the ice and elicit meaningful conversations. A recently published study found that in a 2012 survey of Medicare beneficiaries, only 38% reported having addressed all three key parts of advance care planning: having an end-of-life conversation, designating a health power of attorney, and completing a living will. You and your family may have already addressed all three, but if you haven’t — or if it’s been a while — PREPARE offers a great way to address your advance care planning. Visit the PREPARE site, and try out the program or workbook. Download the easy advance directive for your state, review it, and fill it out if you haven’t already. If in the past you have already filled out an advance directive form, it’s especially valuable to take some time to review it. Chances are it’s a typical “standard” form in legalese. Updating it with one of the easy advance directives can help you clarify more of what matters to your family. Talk to your parent about PREPARE. Show them the website, or print out the workbook version of the PREPARE conversation guide. You can also print out the easy advance directive for your state. Dr. Sudore’s latest research finds that the PREPARE program plus the easy advance directive is better than the easy directive alone. But some families might find it easier to focus on just the advance directive. If your older relative seems reluctant to use PREPARE, you could offer to do it with them. You could even tell them that you’re planning to address your own planning, and invite them to review theirs at the same time. This helps frame advance care planning is a normal and necessary activity that everyone should address regularly. Another option Dr. Sudore suggests is to watch the movie with them and allow that to lead naturally to conversations. Bear in mind that in many cases, it’s best to be gentle and patient when encouraging an older relative to address advance care planning. It’s okay to nudge but avoid creating pressure or stress. Many people will do better if they are given time to think things over. At this time, PREPARE doesn’t offer any conversation guides or advance directives designed for dementia. For dementia-specific resources for advanced planning, The Conversation Project offers a conversation starter kit designed for Alzheimer’s. You can also try going through this Advance Directive for Dementia. It’s not easy to think ahead to a time when we might be dangerously ill or mentally incapacitated. But it’s an effort worth making. It will help you get medical care in line with your preferences and values, when the time comes. And you will reduce stress and anxiety in those making decisions for you, by providing much-needed guidance. It’s often been hard to figure out how to get started. But PREPARE makes it easy. So we hope you’ll use the PREPARE program to help you think through what matters and have those vital conversations with your family. And don’t forget about the easy-to-use advance directives— they’re free to use, and free of legalese. 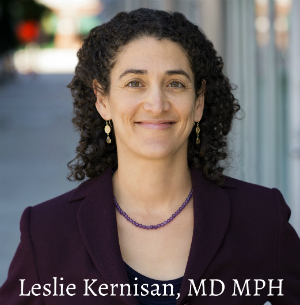 In fact, Dr. Kernisan has been using Dr. Sudore’s easy California advance directive for over 10 years with all her patients. In the podcast, she asks Dr. Sudore why it’s not more widely used, given it’s been available for 15 years. “Well, we need more people to know about it,” said Dr. Sudore. Now you know. So take a look at PREPARE, and let others know about this remarkable suite of free resources, carefully designed by Dr. Sudore to help you and your family address what matters most. And then let us know below: How have you addressed your advance planning so far? Have you had those key conversations with your family members and health providers? I don’t see Oregon. Was that intentionsl? I doubt it’s intentional. I’ve been told they now have directives for all 50 states. We can reach out to them and ask about Oregon. However, the free, PREPAREforYourCare.org program can still help residents of Oregon explore and share their medical wishes with their family, friends and medical providers through a ‘Summary of Wishes’ document or with the question guide. We hope you will check those out! I have a question. I am eighty one year old , in excellent health. Should I opt for Do Not Resuscitate in Advanced Directive Planning—ln Massachusetts MOLST? Thanks. I’m glad you are thinking about your advance planning. Unfortunately, I can’t answer your question. If you would like to better understand your options regarding resuscitation preferences, I would recommend going through the PREPARE program and then discussing whether you should complete MOLST with your usual health provider. Your clinician can help you review your health, your values and your preferences, and then can help you determine which choices on the forms are consistent with your goals and what is most important to you. Good luck! Great article. I’m wondering if it would make sense to do some outreach to the financial planning community. I’m a board member of FPA Silicon Valley and we have featured guest speakers on this topic and discussed the importance of recognizing when an end-of-life discussion would be appropriate for family members. We have software that incorporates directive wishes and POLST language so that the family knows exactly what to expect and who to contact when we see a decline, both physical and cognitive, in our clients. As our population ages, we’re going to spend a lot more time with our clients on this topic. Thanks for writing about it! Yes, I think there is some overlap between financial planning for late life and addressing advance planning for healthcare. How much the PREPARE team can do outreach might depend on their funding and manpower. Thanks for the comment.